Sassoon Salon Road Test – It’s the Best! 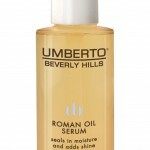 Umberto Beverly Hills: Ciao Bella! As a recognized travel and beauty blogger, Debbi Kickham now has her own author page on WAG Magazine, where she writes about luxury, spas, cruises, shopping and the finer things in life. Having traveled extensively for the past 30 years on assignment for national and international publications, Debbi writes from her own experience and firsthand knowledge. You’ll find practical tips for getting around and saving money—and spending it—as Debbi offers true impressions of places, products and services. Visit Debbi’s WAG MAG page at http://www.wagmag.com/author/debbi-k-kickham/. You won’t want to miss an article she’s written for this luxury magazine geared to affluent, sophisticated residents in Westchester, CT, and New York—and the rest of the world. When you subscribe to our blog posts via email. Subscribe to Gorgeous Globetrotter's blog. 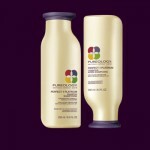 We may have received free samples of products, which in no way influences whether these products are reviewed favorably, unfavorably, mentioned with indifference, or mentioned at all on this blog. © 2019 Gorgeous Globetrotter. All Rights Reserved.